« (d)ART Club Talk: Can creativity be taught? A traditional rural woman has always risked her body and soul, without reward or thanks, to farm her husband’s land and keep the family fed and cared for. She fights unfavorable weather, pests and poverty. But when Manyusi squanders her prized harvest, and schemes to marry off their daughter, Fatuma has to fight her husband. 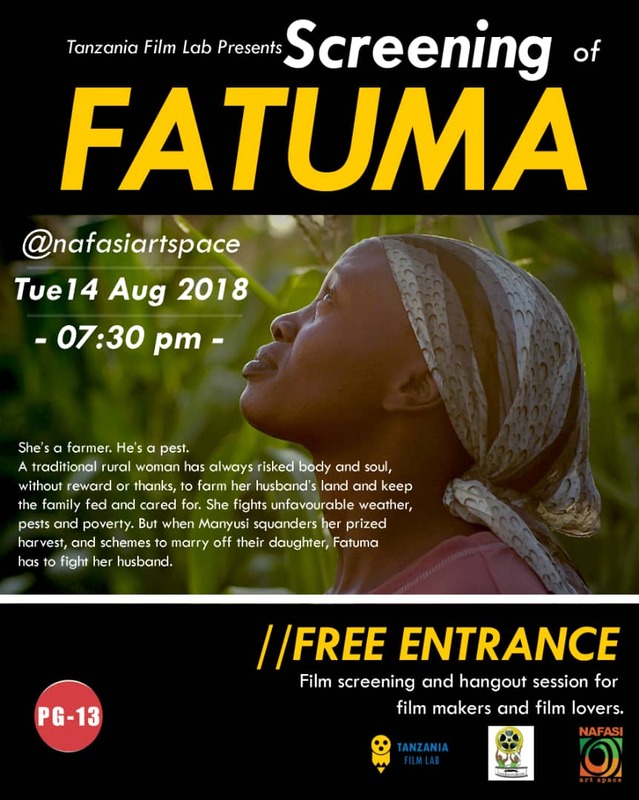 You are all welcomed to the Tanzania Film Lab Screening of Fatuma. Get to meet some of the crew and cast of the film alongside several other filmmakers and actors on the 14th August from 7:30 pm @ Nafasi.